The Daily Ask: Did You Get Damage From This Weekend’s Thunderstorm? The Daily Ask: What Do You Think About Red-Light Cameras? The Daily Ask: How Will You Deal With Fourth of July Crowds and Traffic? 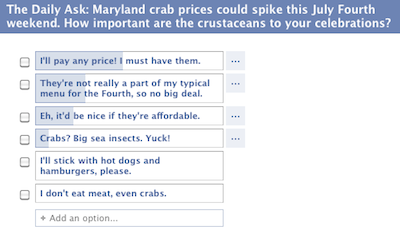 The Daily Ask: What Will You Do About Rising Crab Prices? 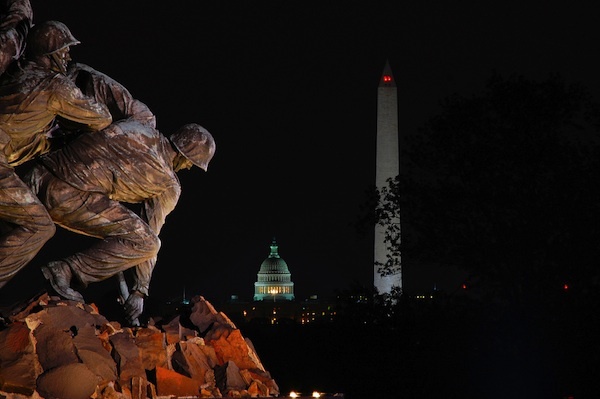 The Daily Ask: What’s the Best Way to Curb HIV Infection Rates in DC? The Daily Ask: What Would You Do With Lottery Winnings? The Daily Ask: What Do You Think of the Washingon Post Killing Jose Antonio Vargas’s Story? 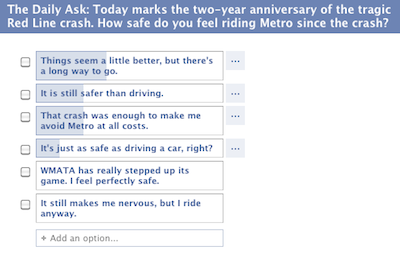 The Daily Ask: How Safe Do You Feel on Metro Since the Red Line Crash? The Daily Ask: What’s the Most You’ve Paid for Gas Per Gallon So Far This Year?